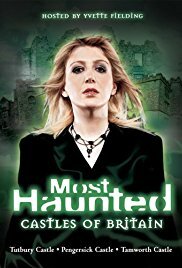 Most Haunted is a British paranormal mystery documentary reality television series. The series was first shown on 25 May, 2002 and ended on 21 July, 2010. Led by Yvette Fielding, the programme investigated purported paranormal activity in many locations in the United Kingdom, Republic of Ireland and other countries. It was produced by Antix Productions and broadcast on the satellite and cable channels Living TV, Livingit, and Channel One. 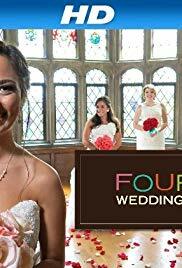 In the United States it was broadcast on the Travel Channel. 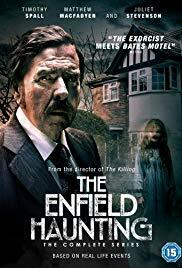 A three part dramatization of the terrifying and bizarre real events that took place at an ordinary house in Enfield during the autumn of 1977. Adapted from Guy Lyon Playfair’s book This House is Haunted. Bedlam was a British supernatural drama television series created by David Allison, Neil Jones and Chris Parker. It first aired on 7 February 2011 on Sky Living and Sky Living HD. The series finale was aired on 15 March 2011. In December 2011, it was announced that a second series had been commissioned for airing in Spring 2012 with an updated cast. Series 2 began airing in June 2012 with Lacey Turner taking the lead as a suspended paramedic who can see dead people. On 13 November 2012 Jack Roth who plays Max in the series revealed that Bedlam may return for Series 3 and that a decision on the shows future is to be made around Christmas 2012. 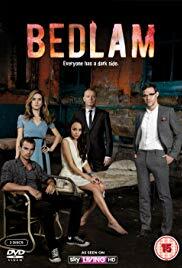 On 11 March 2013 Roth announced on Twitter that Bedlam would not be returning for a third series.